This beautiful princess Mothers ring with Zirconia stones on three sides, can be customized to fit your desires. This beautiful Princess Mothers ring can be customized to fit your desires. This mom ring is available in Sterling Silver, 10k white gold. 10k yellow gold, 10k rose gold, 14k white gold, 14K Yellow Gold, or 14K Rose Gold. Each birthstone measures 3.0mm. You can further personalize this lovely ring by selecting the number and type of birthstones, the ring size, and choosing between natural and imitation gemstones. Gold options allow you to select Zirconia or Diamond side stones as well. 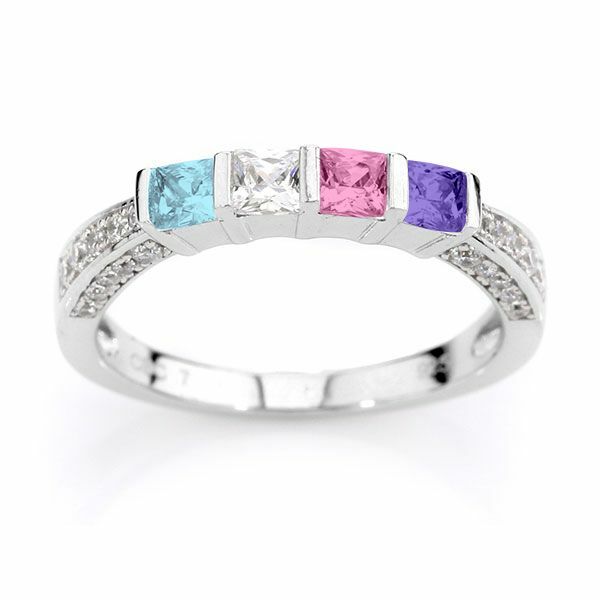 Gift her This Ultimate Princess with Zirconias on 3 sides of the band, Mother Birthstone Ring, Mom Birthstone Ring, Mom Ring, Nana Ring, to show her that she is special and loved!